Very small defects can be repaired with pressurized cans or small touch-up bottles and brush. Prepare the paint according to factory instructions. Field work doesn’t require the addition of any Accelerator or Cross Linker. A light sanding may be required over the defective area with 400 grit sand paper. Clean the surface with VinylKleen and VinylPrep if you are painting over vinyl. Clean with a damp cloth when prepping over a scuffed, painted surface. Mask off glass, mouldings etc. as required even though small guns produce very small fans and limited overspray. 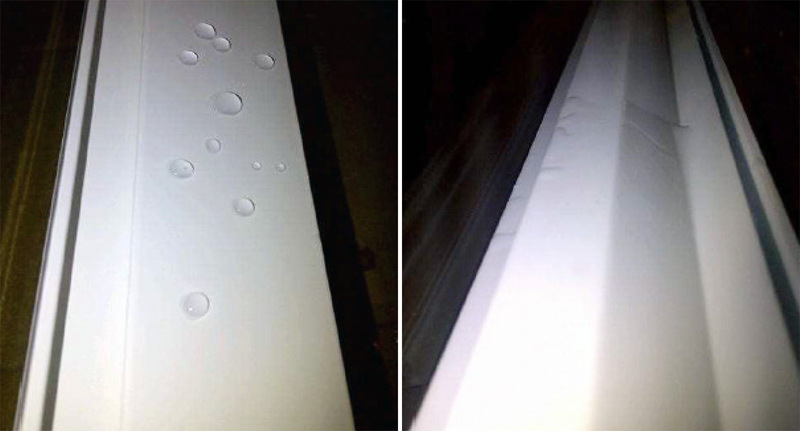 Apply coating: wait a few minutes between passes to avoid runs on vertical surfaces. A hair dryer can be used to achieve faster drying in damp environments. Avoid spraying in temperatures below than 55°F, or in high wind conditions. If you need help, call AquaSurTech OEM. We can put you in contact with a Siding Doctor contractor in your area.